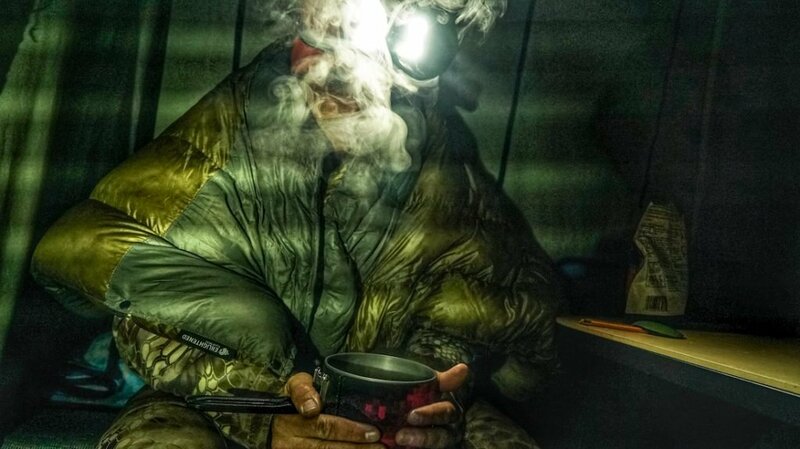 In 2016 accomplished British Army Officer and explorer Henry Worsley set out to be the first person to cross the Antarctic unaided and solo. Worsley was 71 days into his record-breaking solo mission when things changed. He had trekked around 913 miles unassisted across the South Pole — just 30 miles short of his end goal when he recorded his last message from Antarctica that said: “The 71 days alone on the Antarctic with over 900 miles covered and a gradual grinding down of my physical endurance finally took its toll today, and it is with sadness that I report it is journey’s end –so close to my goal.” Shortly after he called for help and was airlifted out of the Arctic where he died later at a hospital. One would be justified to assume that starvation and/or hypothermia took this Arctic explorer from the earth but it wasn’t — Henry succumbed to symptoms of winter DEHYDRATION. Now, what does this unfortunate story have to do with hunting? The dehydration part of this unfortunate explorers demise is where this crazy story and hunting have a nexus. Water is something that we hunters are almost always thinking about and is part of every hunting trip plan. During the early season, hunters are acutely aware of hydration and how they’re going to get enough water to keep themselves healthy, functioning and even alive. Hydration is a serious threat to the safety, well-being and the success of any hunt. As those early season hunts fade and the cold late hunts begin that acuity wanes and hydration starts to become an afterthought. The thing is, hydrating in the winter is as important as it is in the hot summer/early fall months. Some argue, justifiably, that it’s easier to become dehydrated in the winter than in the summer because of the lack of sensitivity to thirst and lack of understanding about the risk. Winter dehydration is usually out of sight and out of mind for hunters. Those physiological triggers that make you crave water are dulled during the winter. A cold thirst quenching drink just doesn’t sound refreshing in freezing temperatures like it did during the early season. Although your thirst becomes dulled the need to drink is as greater, or greater, during the winter. Your body is working overtime to keep itself warm internally as well as externally. When people get cold they urinate more. This is a phenomenon known as cold diuresis. Your body tries to keep your core warm by constricting your blood vessels and reducing the flow of blood to your skin. This process is called vasoconstriction. It is necessary because heat is lost from your skin to the environment, so your body tries to reduce the flow of blood to your extremities, especially your fingers and toes. Those constricted blood vessels cause your blood pressure to rise because the same amount of blood has less space to flow through. To regulate your blood pressure, your kidney filters out some of the excess fluid from your blood to reduce its volume. As your bladder fills up with the excess fluid you feel the urge to pee. A full bladder is another way that your body loses heat, so urinating immediately helps preserve your core warmth. If you keep urinating but don’t replace that fluid by drinking you increase the likelihood you’ll become dehydrated as well. As stated above you don’t always feel thirsty in the winter. As dehydration becomes more advanced thirst will kick in but it’s best not to let it get that far. It’s not because you went to bed late. If it looks like lime Gatorade then you might have problems. This usually begins with a feeling of lightheadedness when getting up from sitting. Cottonmouth and cracked lips are not good. This kind of a headache won’t be fixed by ibuprofen. This will happen in the advanced stages of dehydration. This means drinking a lot and hydrating up before you start hiking. We use the drive from camp to the trail to chug a bunch of Wilderness Athlete Hydrate & Recover. This is key, hydrate now instead of trying to hydrate after it’s too late. You might have to ‘force’ it down even though you don’t feel thirsty. 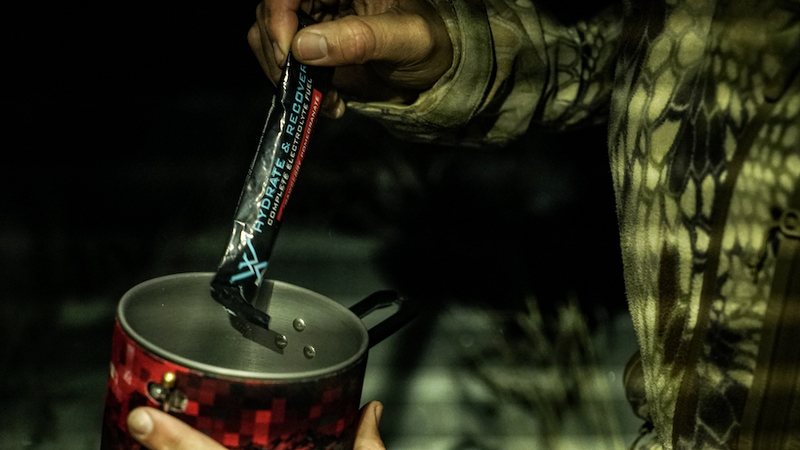 Our favorite thing to do is heat up a Wilderness Athlete Hydrate & Recover in our backpacking stove. Wilderness Athlete Hydrate & Recover works hot or cold. When it’s cold outside it’s especially good warmed up. This gets overlooked a lot. Have some sort of insulation on the straw from your bladder and your bladder against your back in your pack to prevent water from freezing. You can also blow the water back into the bladder instead of it sitting in the straw. We’re not saying omit them completely, just don’t count on these beverages as a means to hydrate. Too much can actually dehydrate you. A good celebratory drink when you reach your goal or knock down that big buck is always a great way to reward yourself though. That should be a given, right? Well if you think you can tough it out and you’re not staying warm your body will have to work even harder to regulate heat. More work equals a greater need for hydration. An urban legend says that if you eat snow while you hunt then you’ll stay perfectly hydrated. NOT. Firstly snow is made up of mostly air. You’d have to eat a whole heck of a lot of snow (eat about 10 quarts to yield 1 quart of water) to even slightly hydrate yourself. 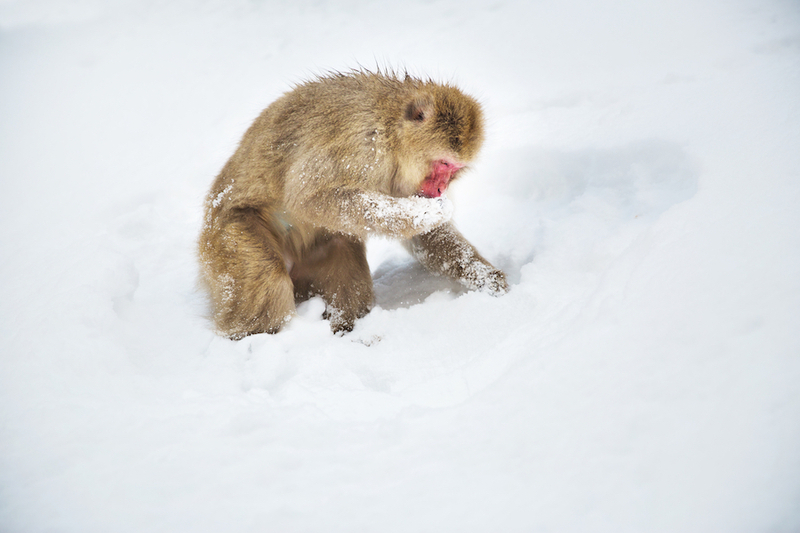 Don’t be a monkey and think the snow is going to keep you from becoming dehydrated. Secondly, if it’s cold enough for snow then hypothermia is a real risk. You’ll slowly cool your core temperature down as you eat snow. It can also lead to further dehydration because of the process your body has to go through to heat and melt the snow once you eat it. Consider snow an absolute emergency measure. If you’re going to have to use it make sure to heat and melt it in your backpacking stove first. Hunting during the cold months can be a great way to succeed and take a great buck or bull. You’ll have less competition with other hunters, animals will be more active, and tags are sometimes easier to get. 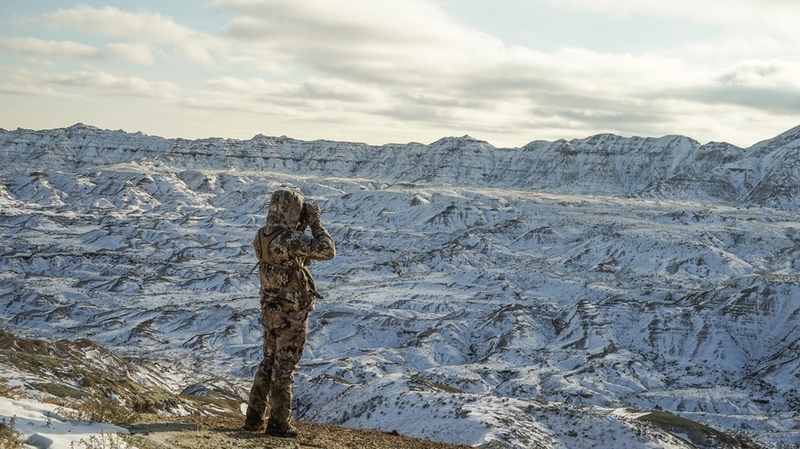 Just remember that hunting the winter takes a different set of precautions to keep safe. Good luck. Next post 6.5 PRC – What, Why, & Is It Elk Capable?